My shopping focus this month and next is going to be all about transitional pieces and thinking ahead to fall! At this point I'm about set on summer pieces with the exception of picking up a few things that are super on sale now (like the classic Levi's 501 cutoffs that are 40% off here & here). Color-wise, I'm completely in fall earth-tone mode as you can see! Olive green has always been a favorite of mine, but it's especially big this year and pairs really nicely with cream, camel and taupe tones. -I'm absolutely loving suede and canteen-style bags for fall! This Rebecca Minkoff combination of the two is pretty much perfection. I haven't decided if the price tag is right for me for a more trendy bag, so I'll be watching for good alternatives. I desperately need a fall bag (or two) though! -Lace-up flats. Ridiculously chic and cool. I'm obviously not going to be able to buy the Aquazurra flats, but these and these are great alternatives for less. -Fall/winter hats are my s**t. I always want to wear my wool and felt wide-brim hats every single day when it starts cooling off. I recently picked up this hat for a whopping $12 and it's adorable! Highly recommend it if you're on a budget. It has a very structured brim (vs. floppy), which I like best on myself. I also discovered this Zara scarf and can't stop thinking about it. I don't think I can pull off the bandana trend/don't quite get it, but the scarf gives a little of that western feel in a slightly less risky form. Sadly, it's probably the very last thing I need to spend $50 on (but I may just buy it anyway)! Let me know what trends you're shopping at the moment! 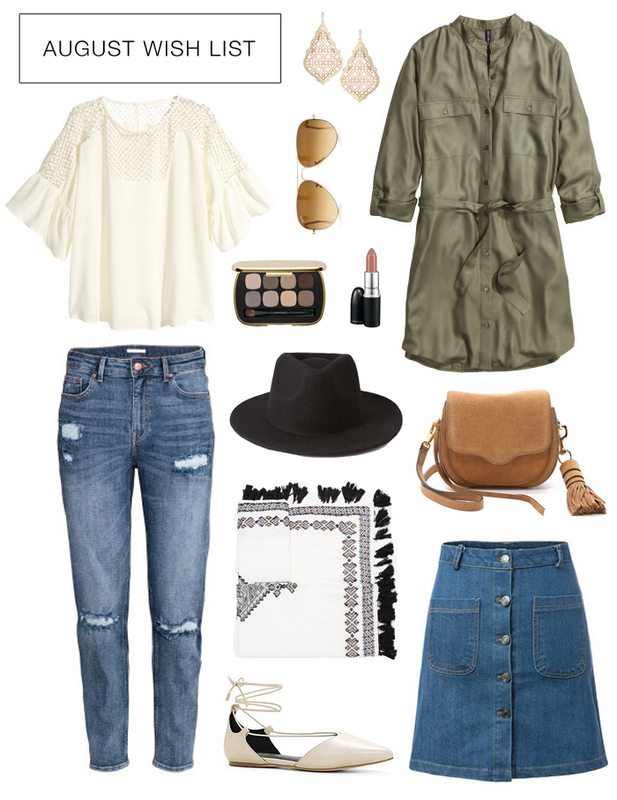 I definitely don't want summer to end, but at the same time I'm really looking forward to fall fashion!